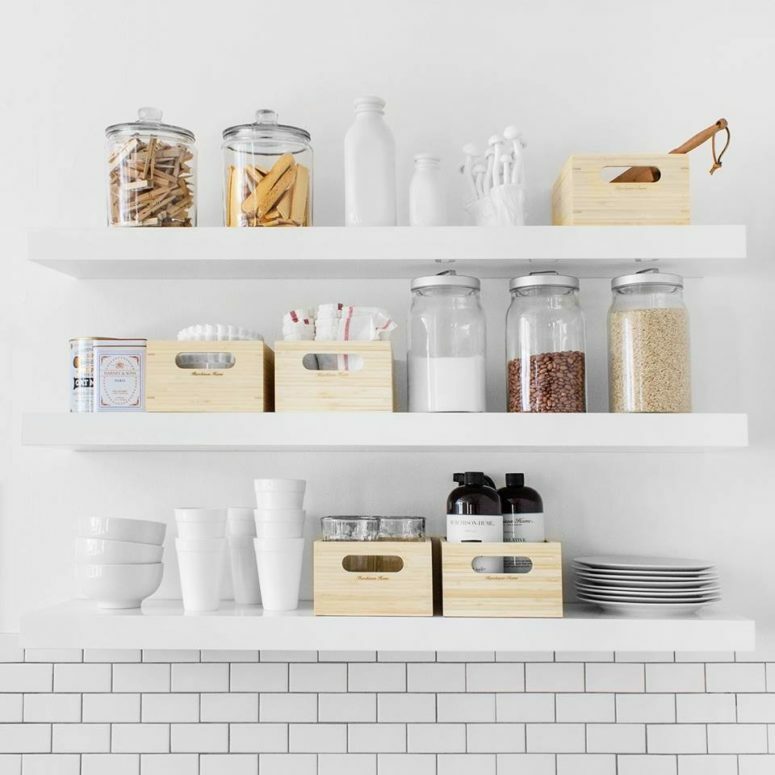 IKEA Lack shelves are ones with the wall thanks to the concealed mounting hardware, and they perfectly serve for storage. 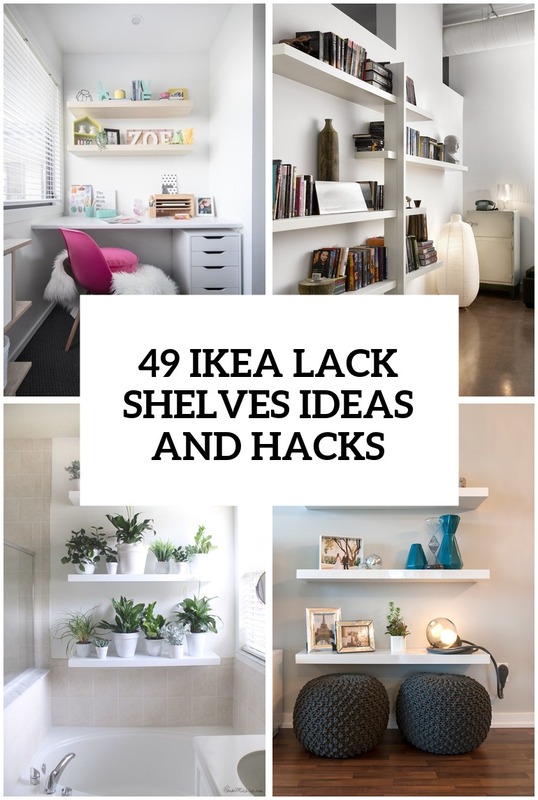 There are lots of ideas to use them and to hack them, let’s consider some of them to get inspired. 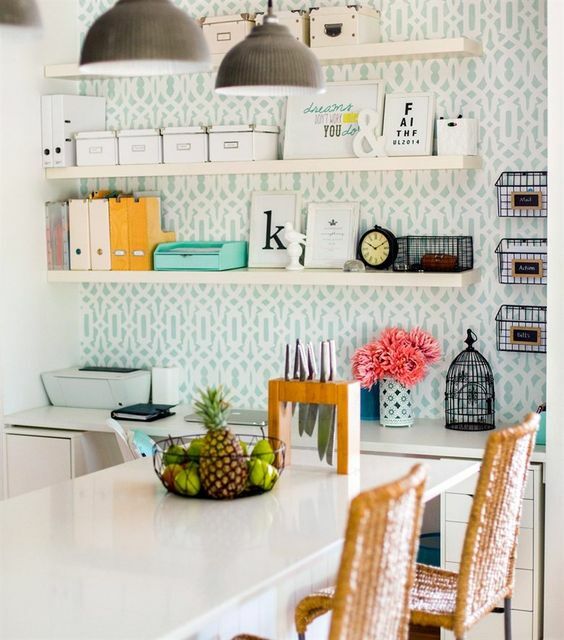 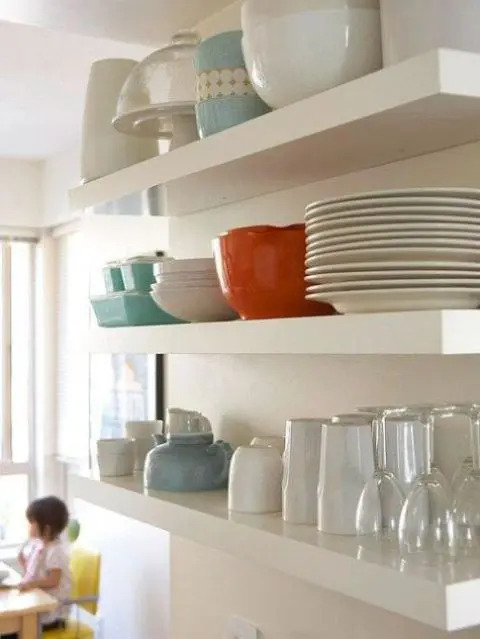 Lack shelves in white and black can be cut according to the size of your space and you can display dinnerware or drinkware on them. 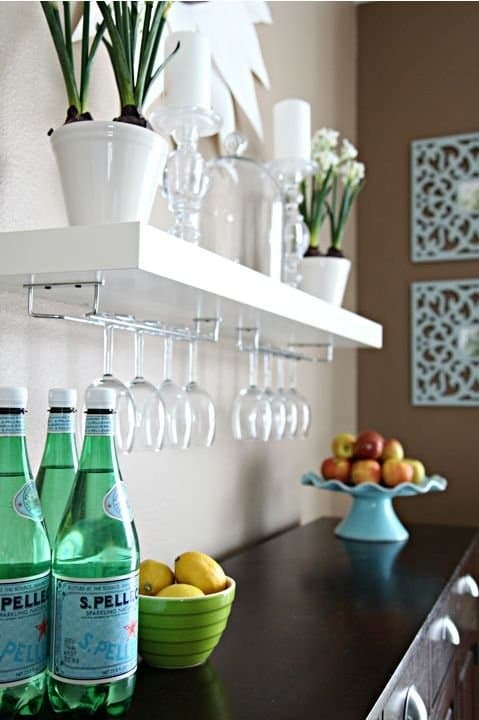 Add glass holders underneath the shelf, or attach a rail to hang mugs on hooks, it will save some space. 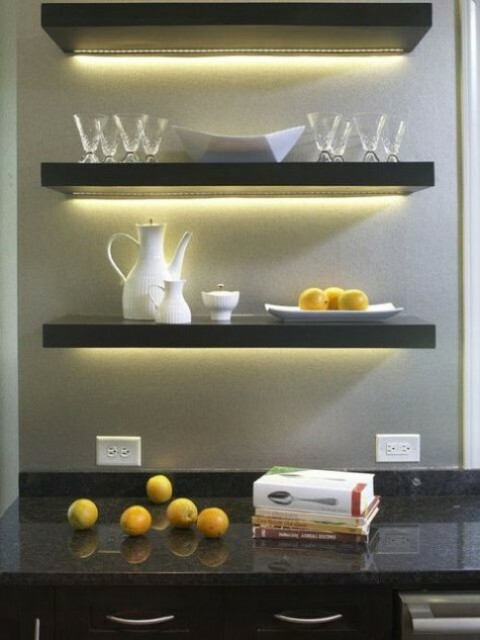 Organize your own home bar using black Lack shelves: place your drinks and glasses on the shelves, add lights underneath and place lemons and other necessary stuff below. 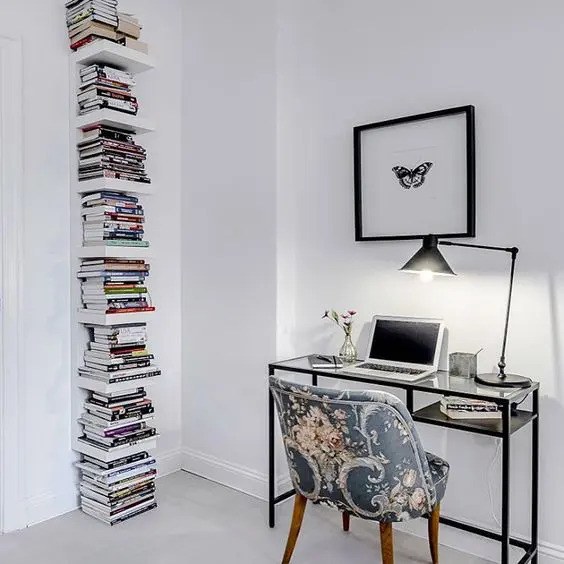 Various IKEA Lack shelves can be widely used in bedrooms: attach long Lack shelves along the whole wall for storage, do it lower than usual to achieve a cool effect. 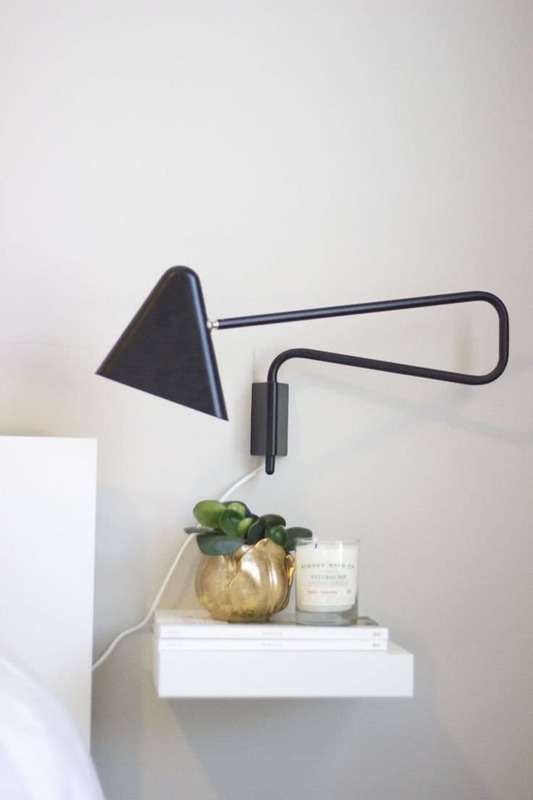 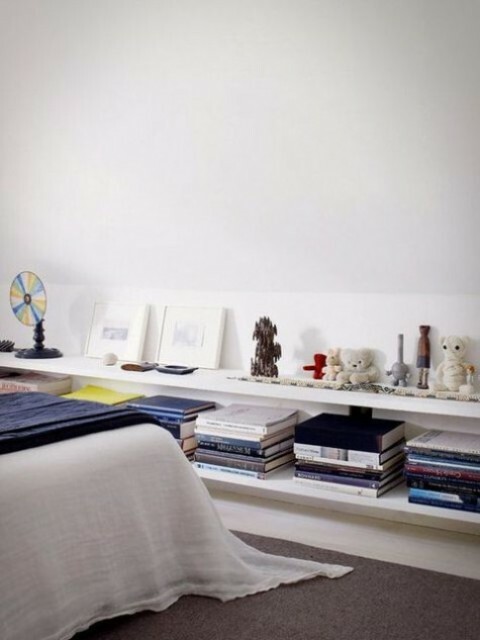 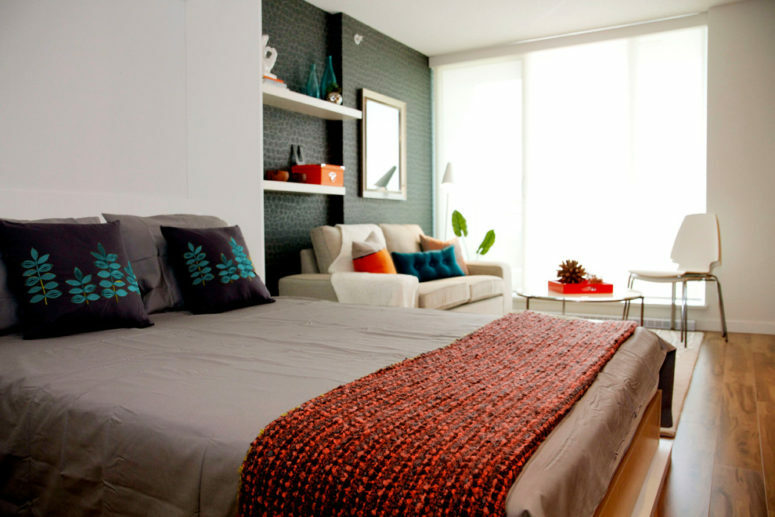 Place a corner Lack shelf in the bedroom, put some bedside lamps on it. 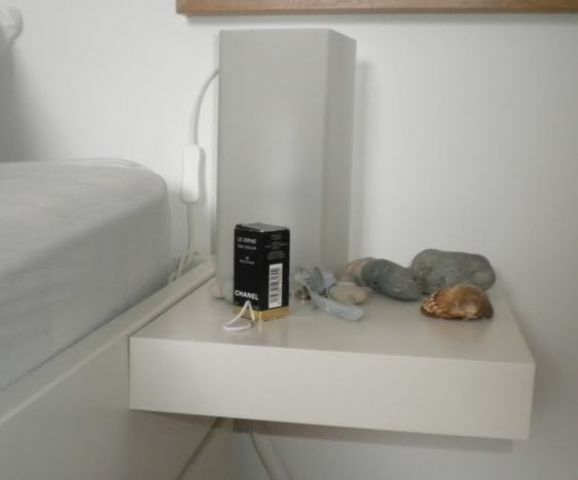 You can also cut a Lack shelf to a smaller size and attach it by the bed, it will be a great bedside table for your bedroom and will save some space. 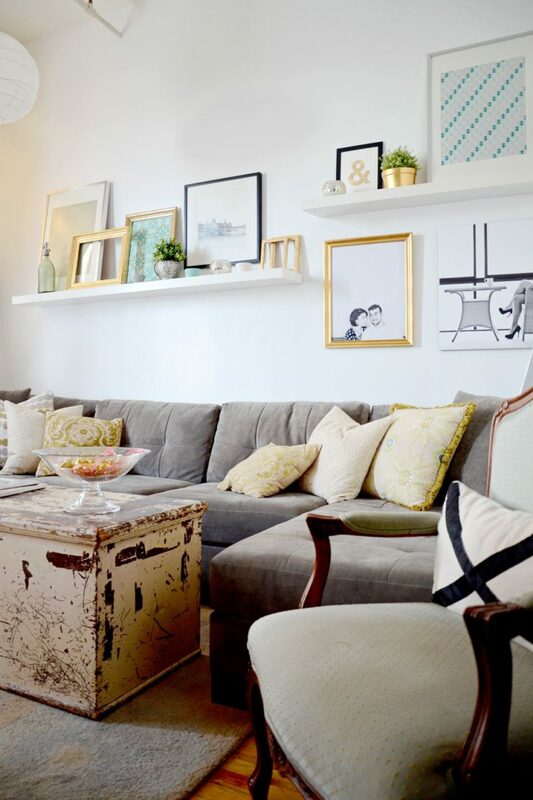 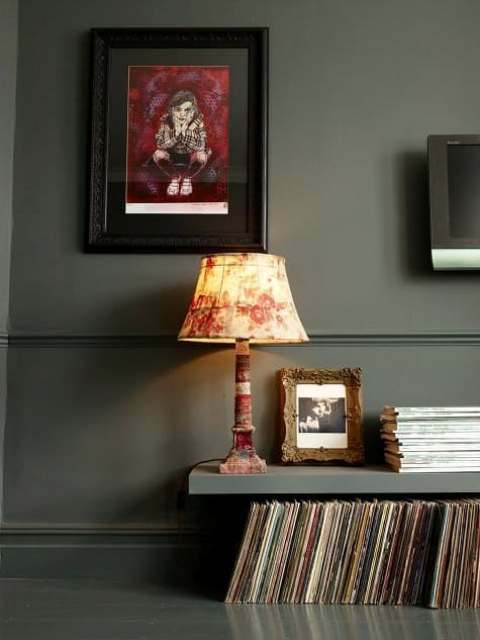 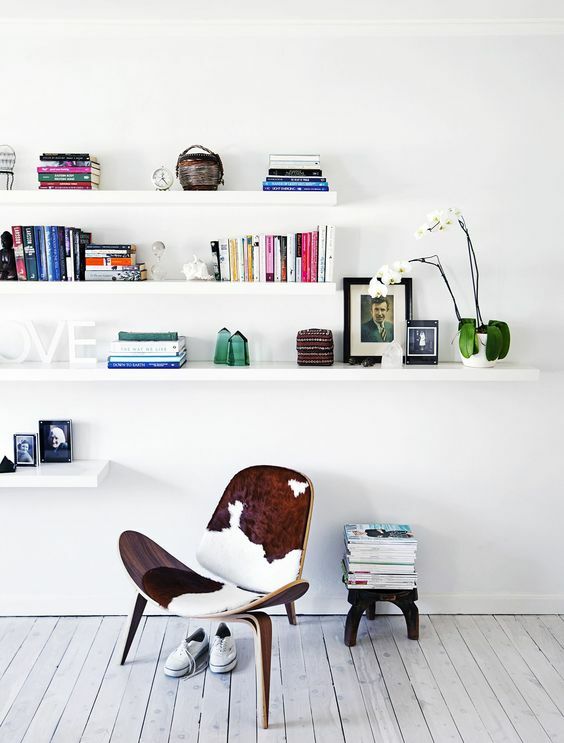 Lack shelves are classics in the living rooms, hack them as you need, cut them and attach to the walls. 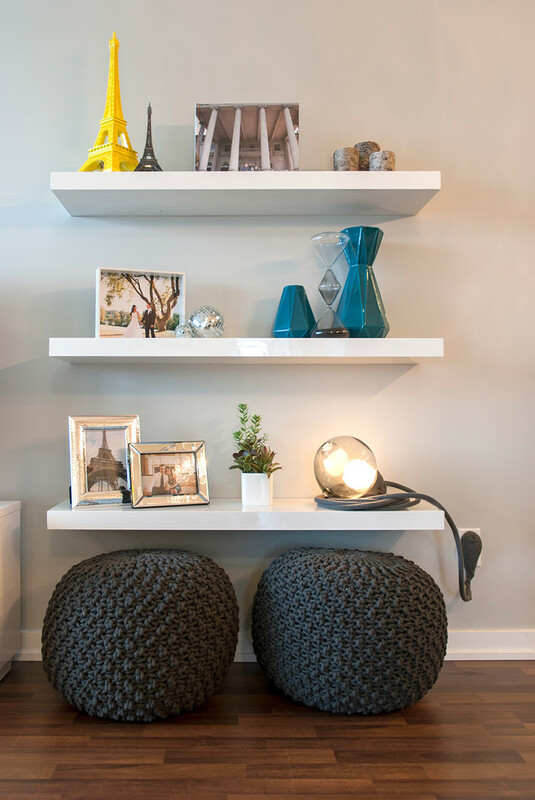 Display and store your books and other items, use them as photo stands and so on – these shelves are cool! 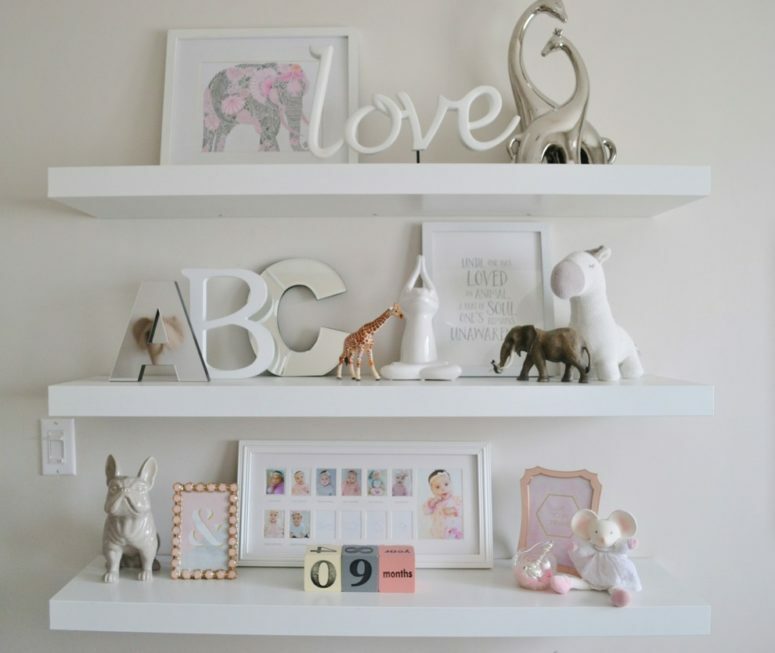 Open shelving is the best way to store and display at the same time, it saves space and looks airy and light. 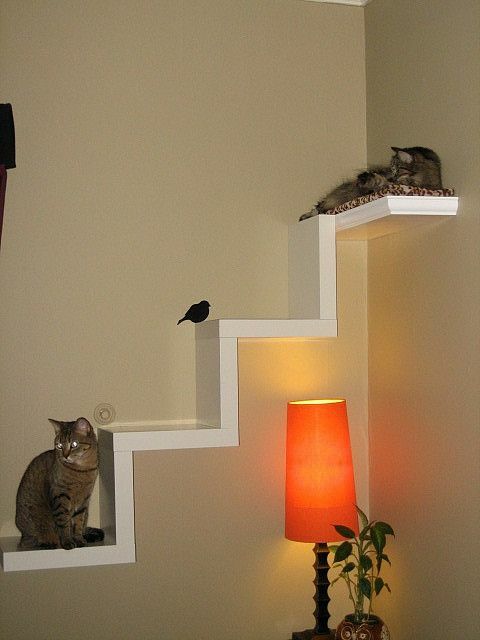 Have cats? 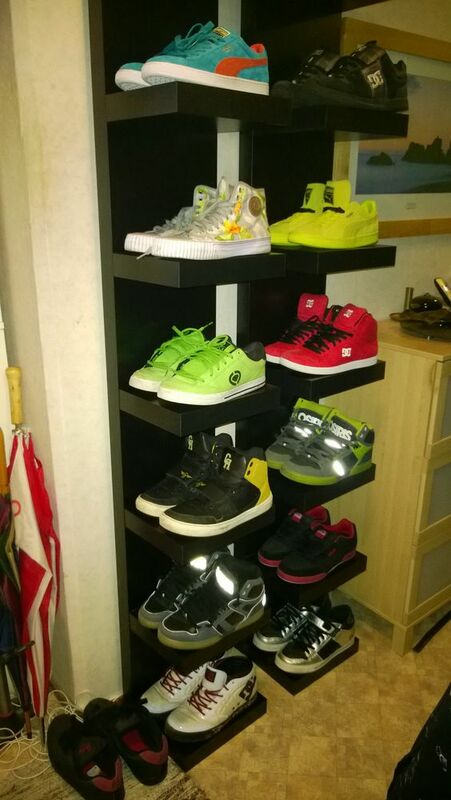 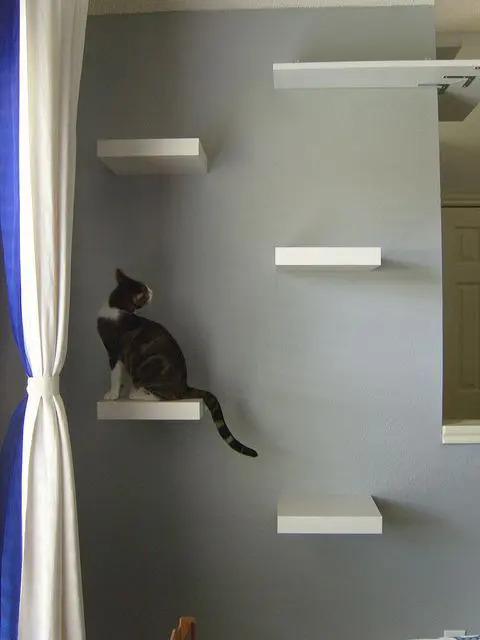 Take some Lack shelves and attach them as stairs or shelves to let them jump from one to another and have fun. 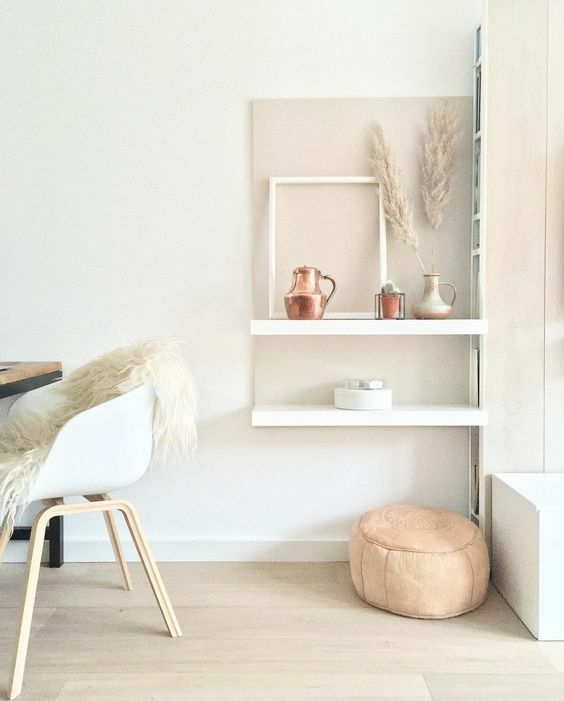 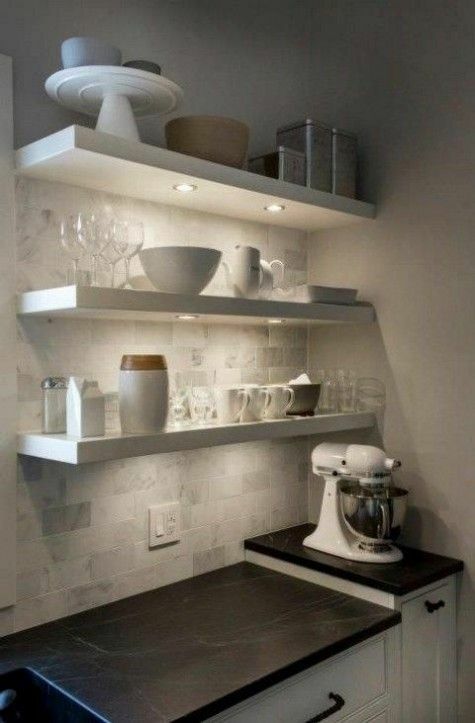 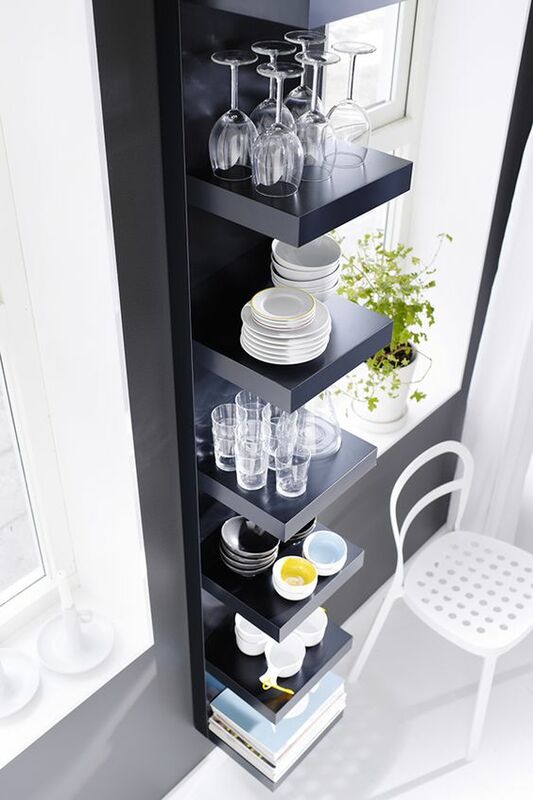 Clean and simple design of LACK shelves allows to display things on them in any color. 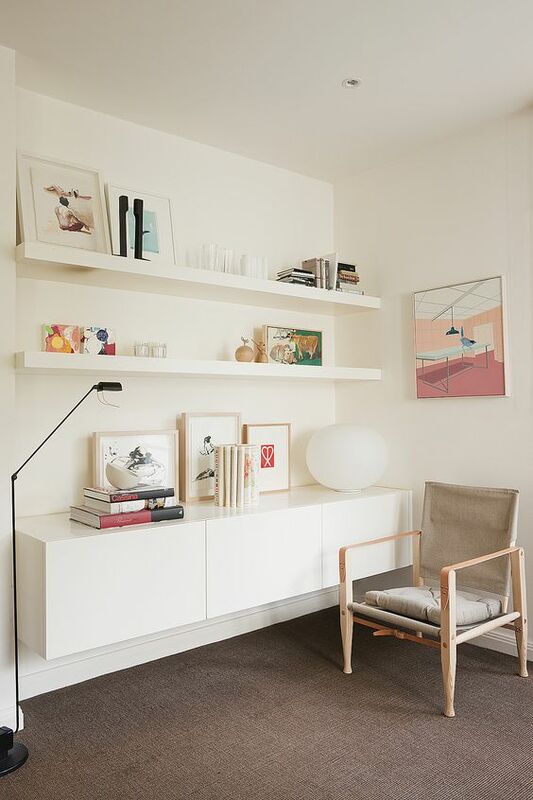 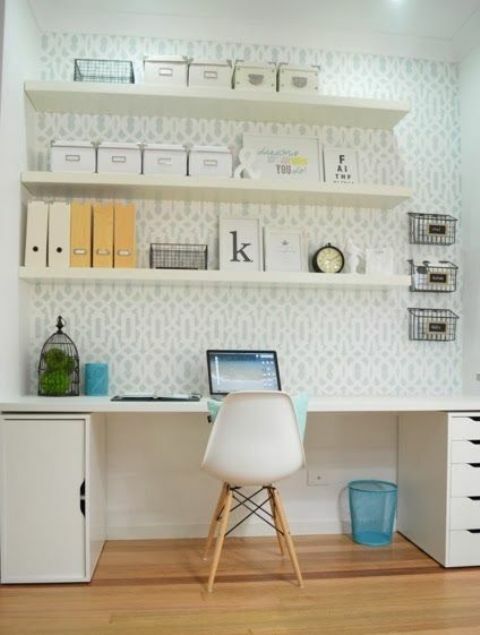 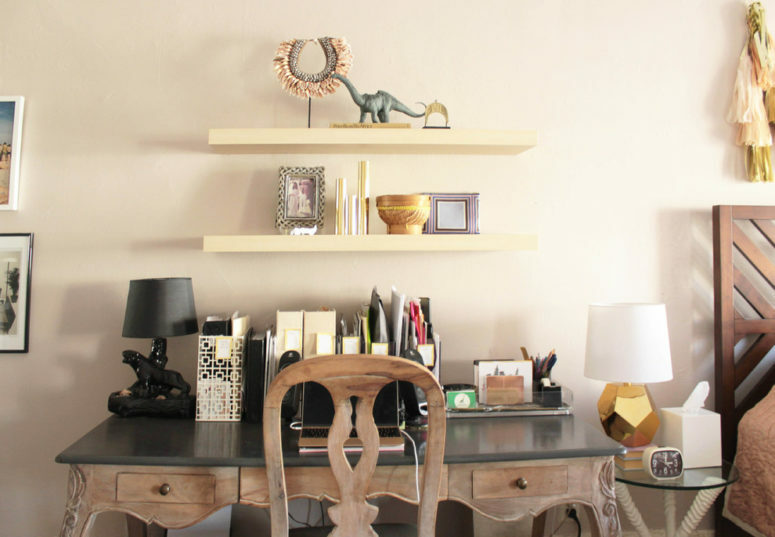 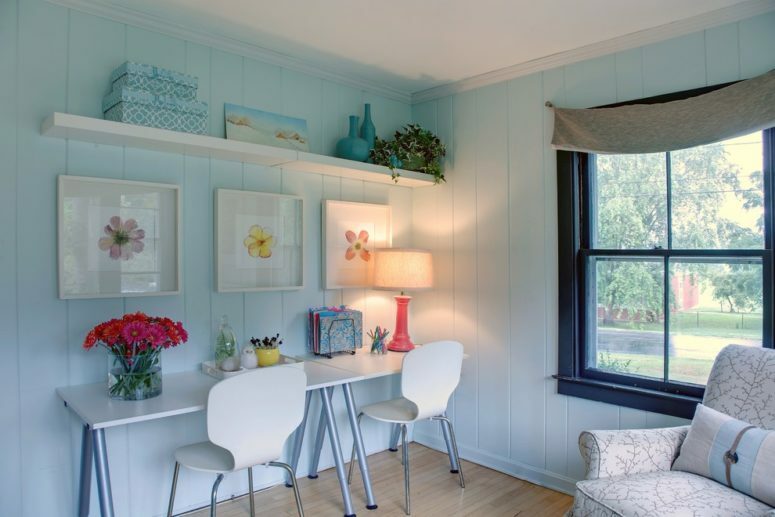 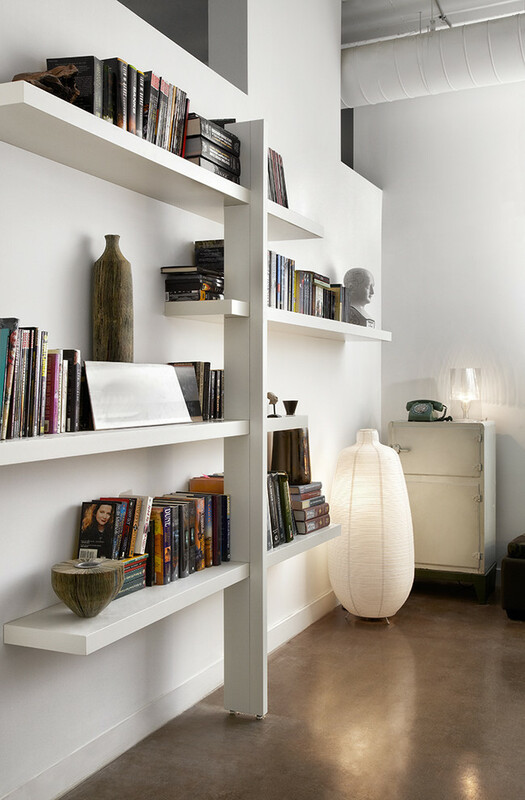 If you have a home office nook or a whole room, Lack shelves will be a perfect option to try. 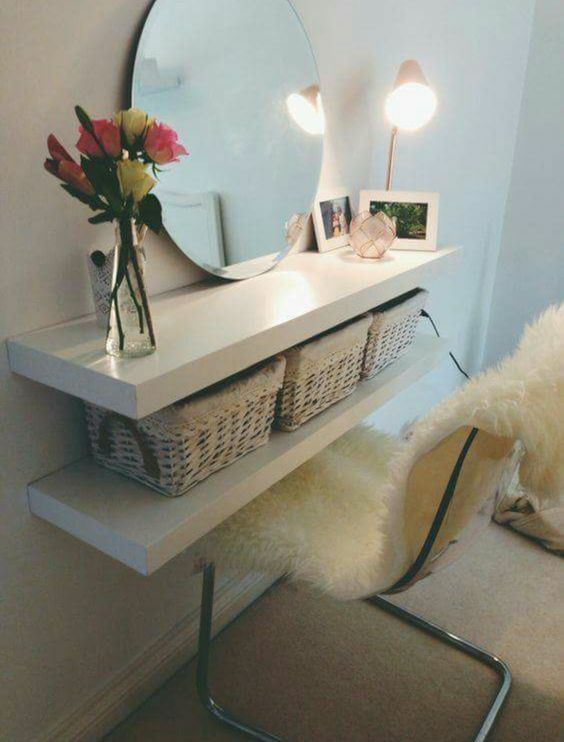 If you attach them well enough, you can use them not only for storage but also as a desk. 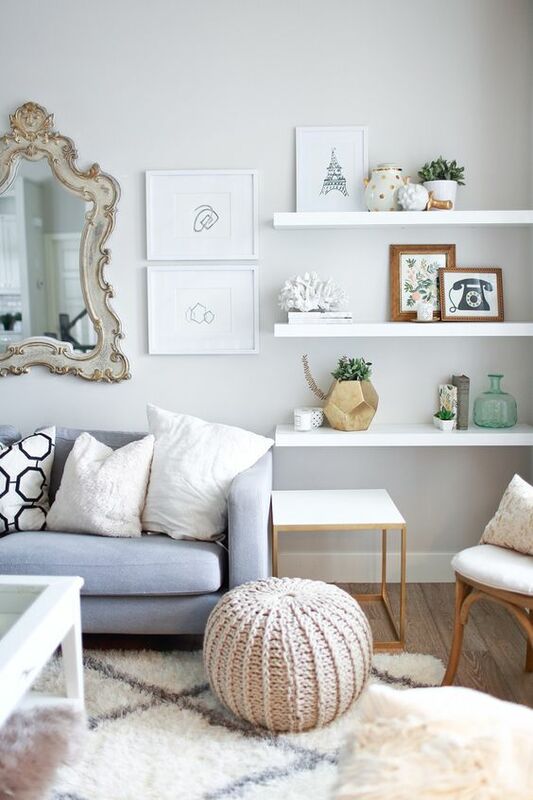 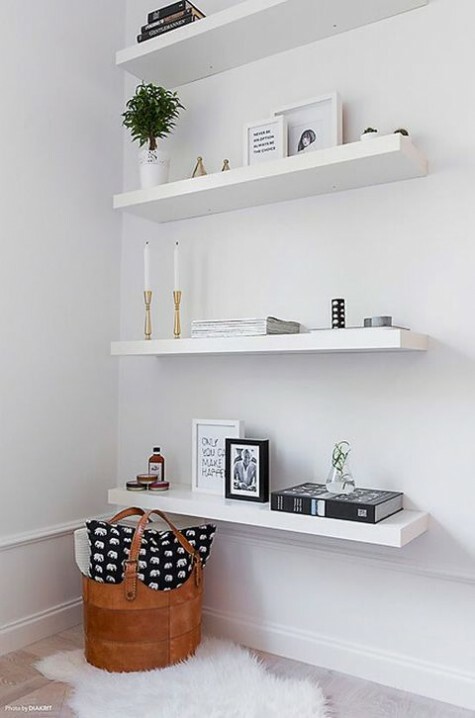 Black and white, corner and usual, these shelves will bring comfort for little money. 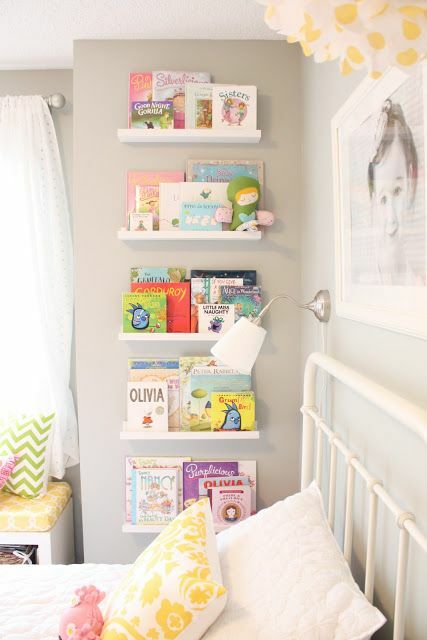 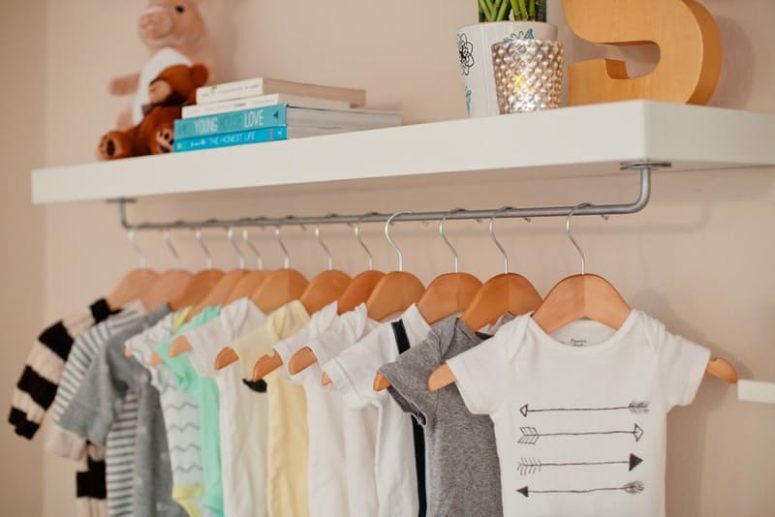 Lack shelves are ideal for kids’ storage: they can be bookshelves or display shelves, they can be used for shoe storage and you can add a rail to hang clothes underneath the shelves. 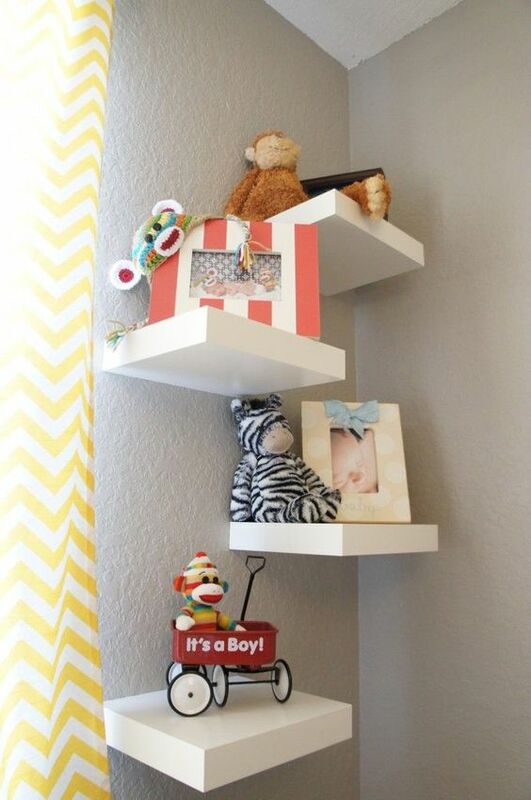 Attach the shelves in the playroom to use them for toys. 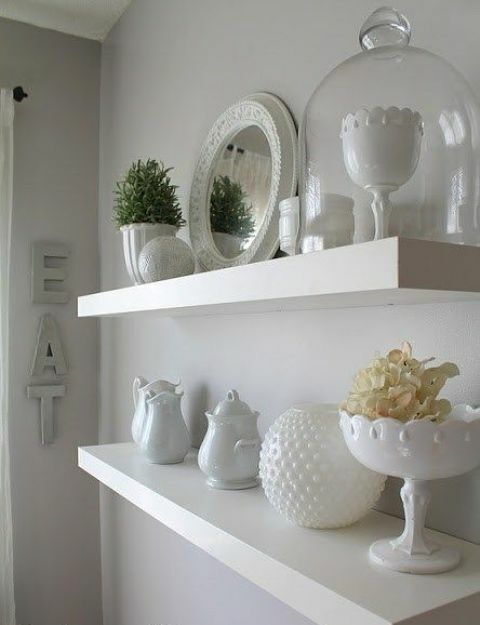 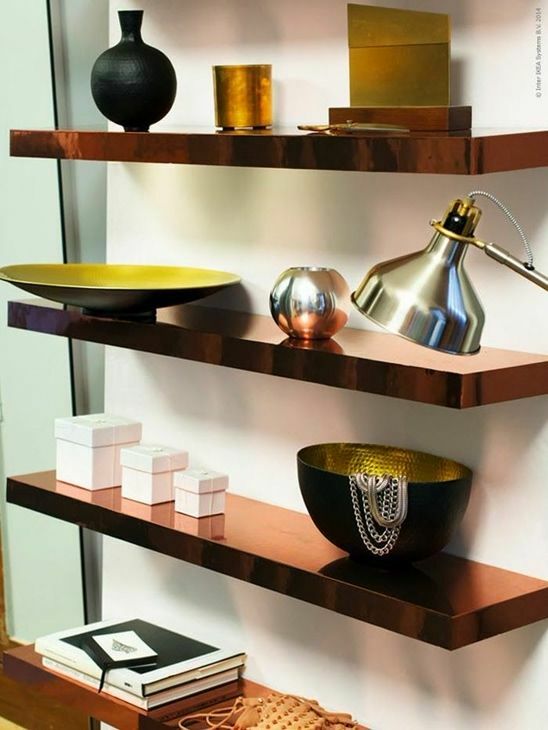 Floating shelves are perfect to organize towels, toilet paper or even display some decor in bathrooms and powder rooms. 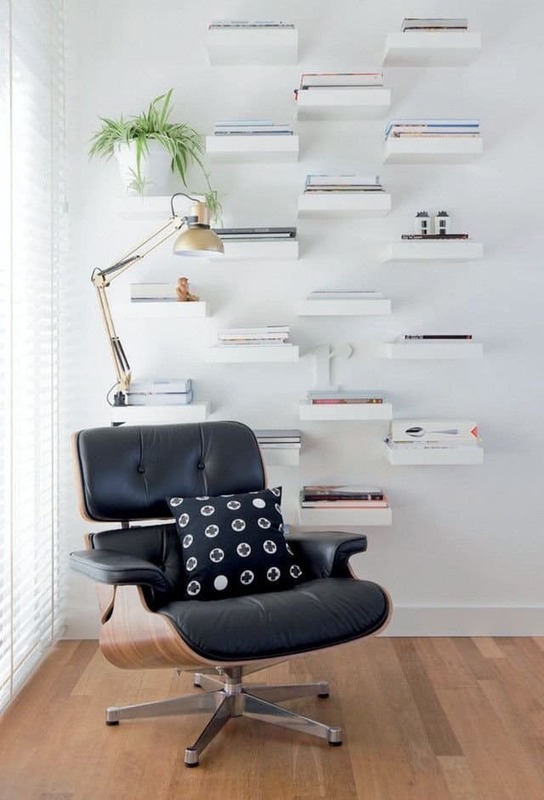 Although you can even create a plant wall with them. 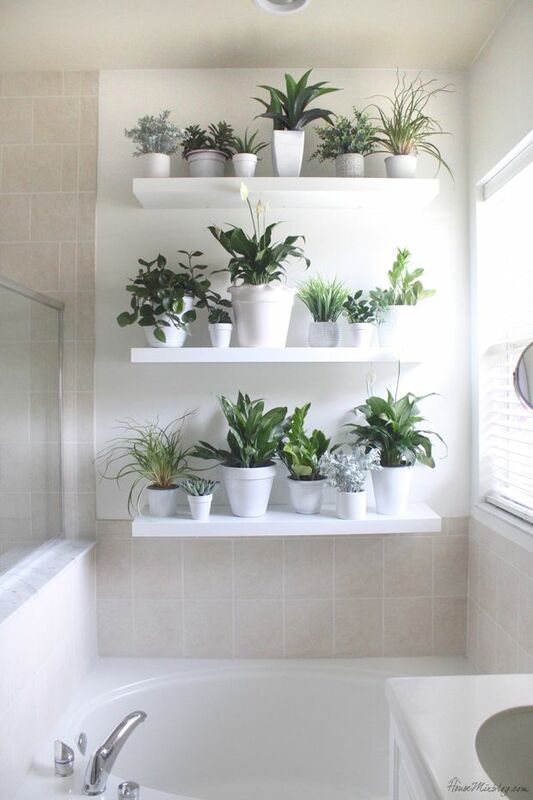 In a bathroom IKEA's floating shelves could b used to create a plant wall. 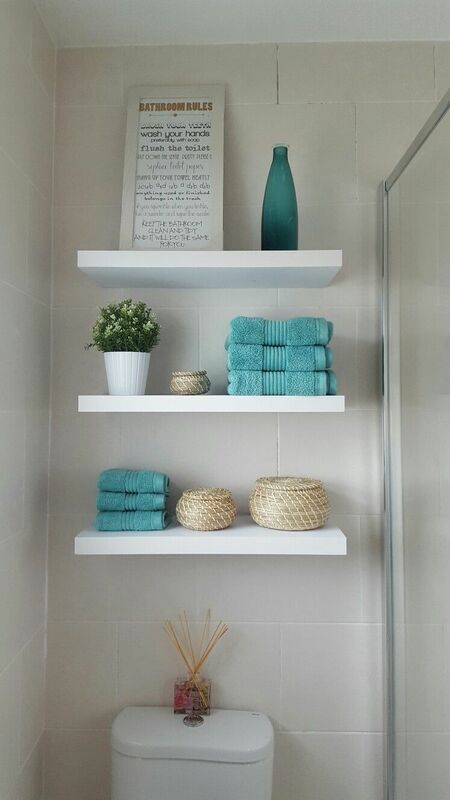 Lack shelves looks great over a toilet. 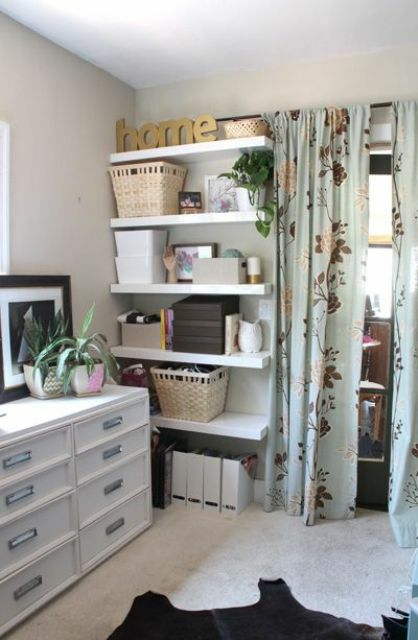 Besides you can put as decor as towels and toilet paper on them. 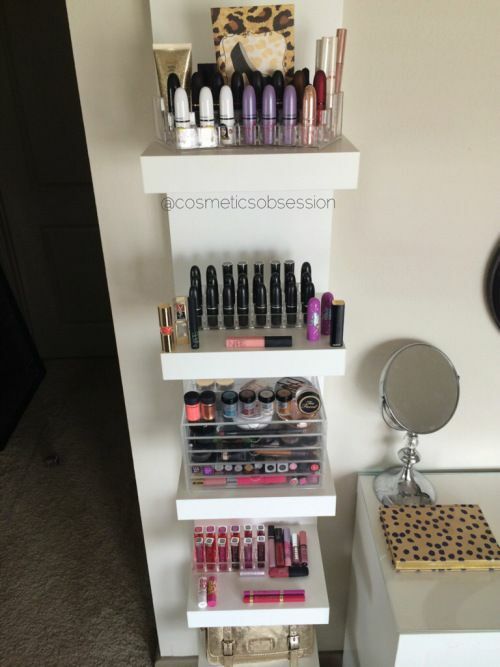 Lack shelves can be turned into whole beauty stations! 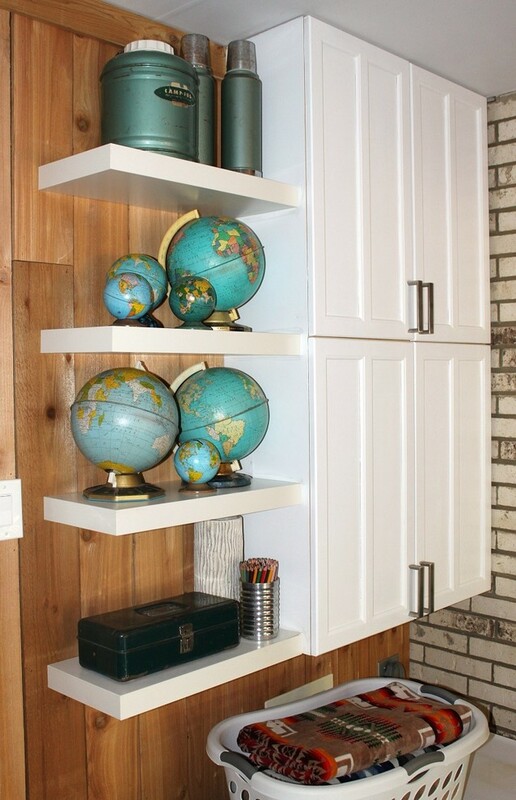 Corner shelves on the sides of your mirror can serve for storage; attach two long Lack shelves and place some cubbies between them. 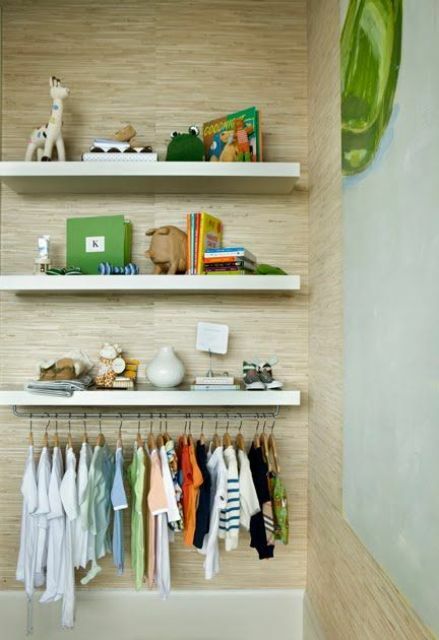 Attach Lack shelves in closets or entryways, or even in the bedroom to store and display your shoes. 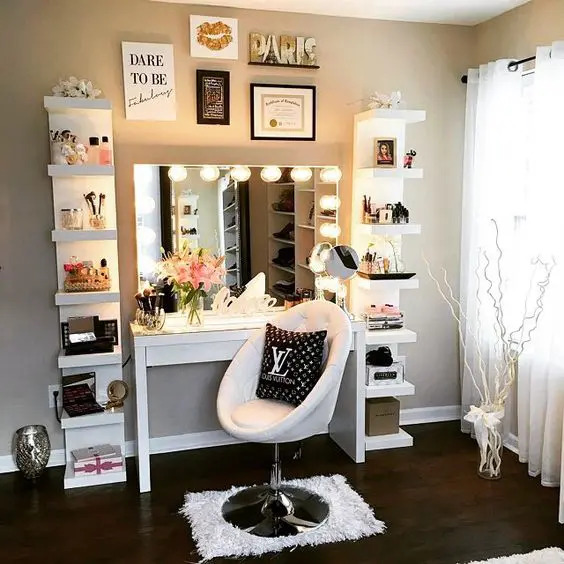 A glam room will look cooler with your stunning heels displayed.